Why is there so much fuss about neuromarketing? It is a hard yet inspiring decision to adopt ultimately a new and different way of data collection. Especially when there are so many contradictory thoughts on neuromarketing solutions. Nonetheless, as technology becomes more affordable more advocates of neuromarketing emerge. Today many of our clients use neuromarketing tools in their research. However, before becoming our clients they were quite skeptical and unsure if they can trust biometric research and how they can use data obtained from it. We have learned that many of the fears our clients had were based on myths they heard or read online. 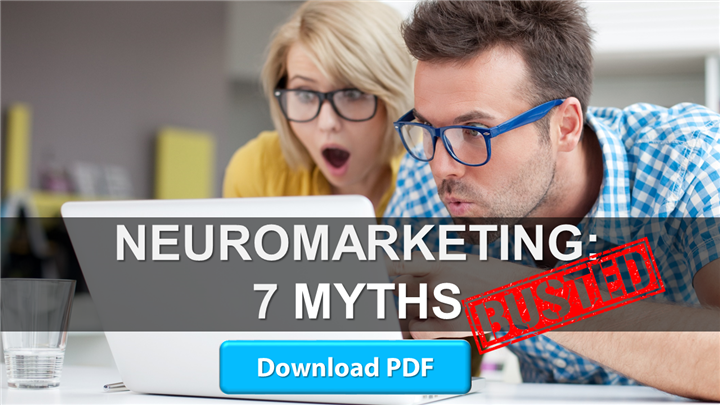 So we have decided to bust the most common myths about neuromarketing to help you to be more informed in your decision whether to use biometric research or not. We hope you enjoy the guide, should you have more questions, contact us at hello@cooltool.com and we will be happy to answer your questions or address your concerns about neuromarketing.